I have progressed a little with my grey knights but don’t have any ‘proper’ photos – just quick shots from my mobile phone, so I am going to keep them quite small. 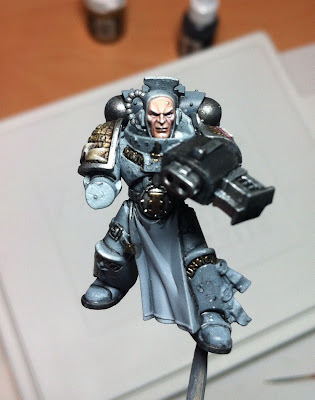 I wanted to do some gritty demon slaying marines rather than the shiny paragons of light that you normally see Grey Knights painted so decided to try a technique which I have seen armour modellers use before – the salt weathering technique. 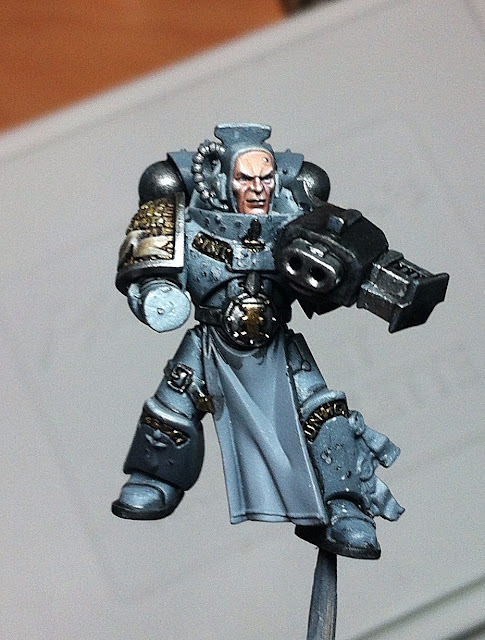 First up, after undercoating the minis grey, I airbrushed a bright silver over all five of the models. The next step, for which I don’t have any photos, consisted of a thin layer of varnish (to protect the underlying metalwork) and once that was dry, I sprayed each part with hairspray and sprinkled over some salt. 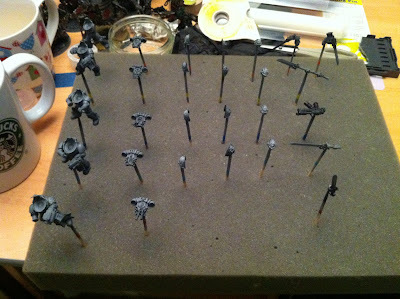 I then airbrushed the whole lot black. 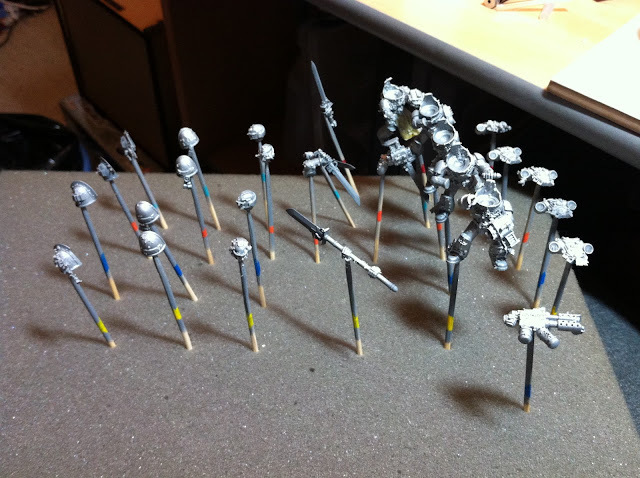 This will increase the definition of the weathering at the end of the process. Each one of those dinks in the armour needs to be shaded and highlighted, and I need to add oil stains and other muck and grime. Hopefully this should contrast well with the tabard and shoulderpad heraldry which I have yet to paint… I am not 100% satisfied so far, but will try and finish these over the next couple of weeks and make up my mind if I want to use the technique on the rest of the army. I do need to get some proper photos too! Looks like it adds a bit or a texture too. 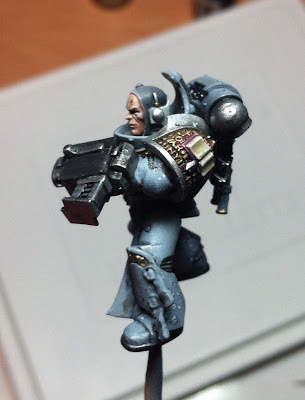 Makes the armour look a little more battle worn and ancient.